Many postdoctoral researchers are interested in pursuing an academic career, but unsure on how to navigating the academia application process. To help assist we spoke with Assistant Professor of Chemistry Walter Henne who presides at Governors State University (GSU). for curriculum development, writing research grants and committee work. 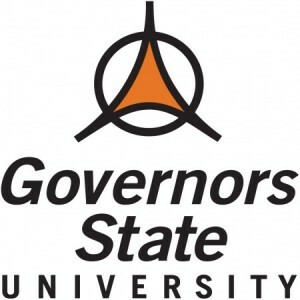 Henne has instructed on a wide range of undergraduate and graduate courses and laboratories at GSU. He has been the principal investigator for more than 30 undergraduates and 60 graduate student research projects and serves as the graduate academic advisor and chemical safety coordinator for the Master of Science Program in Analytical Chemistry. His university committee work has been equally extensive covering more than 20 departmental, college and university-wide committees. Henne has been a part of seven faculty searches, served in an elected seat in the Faculty Senate and is Chair of the Institutional Animal Care and Use Committee. He is also on the Institutional Safety and Biosafety Committees and is part of the Board of Trustees advisory committee at GSU as an elected Faculty Representative. Henne has quickly mastered the great demands placed on professors in today’s smaller institutions of higher learning. Due to his vast service in so many capacities Henne can provide an insider’s view of the expectations and responsibilities of academia. For postdoctoral researchers hoping to land a university position Henne provides some key information. “Landing a tenure track faculty position at any university is rapidly becoming a lottery proposition,” notes Henne. “For the most part, you are waiting for a faculty member to retire or leave for another institution for a position to become available.” This is a frustrating and difficult reality postdoctoral researchers must face. There are few positions and many, many highly qualified candidates. The environment is extremely competitive even at small, teaching schools. It is not uncommon for institutions to hire adjuncts and lecturers with credentials as compelling as tenure track faculty. Henne notes that the proper fit of a prospective candidate to the faculty and institution is critical. “Professional fit with the other faculty members and department is by far the most important criterion,” says Henne. Although a strong research background is extremely important in this climate, it is generally assumed that all candidates will have significant research, publications and postdoctoral experience. What is sought by search committees is commitment to high impact, instructional practices and service to the community. This will often serve as the main deciding factor in the academic faculty search process. Henne advises postdoctoral researchers to include any evidence of committee/board service work (such as serving on the Postdoctoral Society of Argonne), adjunct/lecturer instruction (such as teaching at a community college) and community/volunteer work helps as well. Tell us why you are interested in this position. How is your educational background and experiences suitable for this position. Please describe your teaching experience and your teaching philosophy. Which courses would you like to teach at the undergraduate and graduate level at this university? Please describe your prior research experience including the kind of research and scholarly activities you plan to undertake in this position. Also describe how you would engage undergraduate and graduate students in your research work. Please tell us about your instrumentation and other needs to carry out a successful research program at this university. Please tell us your experiences with non-traditional and adult students, and/or diverse populations. “Candidates that have strong evidence of instructional excellence, teaching awards, full instruction of college courses beyond teaching assistantship and a commitment to community and professional service are highly competitive in faculty searches,” says Henne. He advises candidates to focus on what their personal teaching philosophy is and to detail this in the application package. Most candidates forget to focus on the teaching philosophy statement and teaching experience, which search committees are most interested in. The search committee generally follows a three round process. The committee meets three to four times to discuss the current candidate pool and narrow it down from more than 250 highly qualified candidates. From there six to eight candidates are selected for telephone interviews. After the telephone interviews three candidates are invited to the campus. The candidates will present a one hour teaching lesson with students present asking questions. The candidate is then asked to give a research talk and then a final interview is held with the search committee, faculty members and key administrators. The candidate is scored at each point in the process. If a consensus is not reached the search is abandoned. “The general rule is that we would rather wait than select the wrong candidate for a tenure track position,” says Henne. Applicants should thoroughly research the institution before submitting an application. Researchers should also be aware that smaller institutions will typically not have extensive funds for travel, highly specialized instrumentation or appreciable administrative support services. When applying to smaller institutions researchers should highlight joint appointments they hold and collaborations they maintain with larger, better equipped organizations such as Argonne for example. This will allow applicants to continue to pursue their research while not taxing the smaller institution’s funds. Henne advises postdocs to gain instructional experience by teaching at local colleges, hosting a workshop, presenting at conferences and giving guest lectures. This will help the young researcher gain experience; build a body of work and network with different organizations. GSU has hosted several postdocs from Argonne providing them the opportunity to guest lecture to students. Henne recommends early career researchers to review the College and University Professional Association for Human Resources website for salary guidelines in all types of research and teaching institutions and Inside Higher Ed for news, careers and tools to help researchers in higher education. These websites will help researchers understand the academic field much better and expand their network web. Walter Henne is an Assistant Professor of Chemistry at Governors State University. He received his Ph.D. in Chemistry from Purdue University with a special focus in Bio-Analytical Chemistry and Chemical Biology. He performed research at Purdue as part of the Philip S. Low Research Laboratory. His current research centers on the design of medical diagnostic assays, devices and targeted chemotherapeutics. He is the author of more than 20 peer-reviewed research papers and patents. This entry was posted in Guest Column and tagged ask the academic, governors state university, henne, tenure, walter. Bookmark the permalink.